Next up in my “Worst of 2016” month is a strange, quasi-true story from director Larry Charles and acting demi-god Nicolas Cage: Army of One. The screenplay for the movie was written by Rajiv Joseph and Scott Rothman, whose credits include Draft Day and a handful of episodes of Nurse Jackie. However, the story behind it is loosely based on the strange exploits of an eccentric and patriotic American named Gary Faulkner, who set upon a personal quest, supposedly ordered by God, to track down and capture Osama Bin Laden. The director for the film was Larry Charles, who is possibly best known for his numerous collaborations with Sacha Baron Cohen (The Dictator, Borat, and Bruno), as well as for the documentary Religulous and the hit television show Curb Your Enthusiasm. 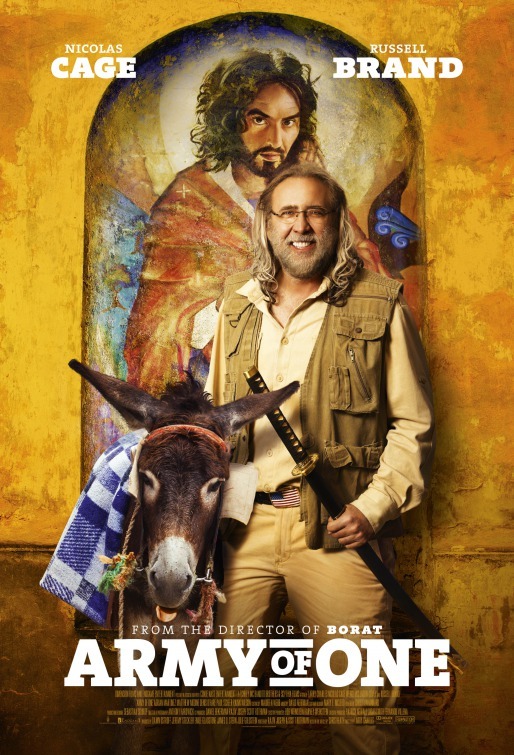 The cast of Army of One includes Nicolas Cage (Con Air, Face/Off, The Wicker Man, Vampire’s Kiss), Russell Brand (Get Him To The Greek, Forgetting Sarah Marshall), Paul Sheer (The League, Piranha 3D), Will Sasso (MADtv, The Three Stooges), Wendi McLendon-Covey (Reno 911), and Rainn Wilson (Super, The Office). The cinematographer for the movie was Anthony Hardwick, who has worked extensively on television shows like Entourage, Important Things with Demitri Martin, and The Last Man On Earth, as well as on movies like Religulous and Bruno. Likewise, the film’s editor, Christian Kinnard, worked on a number of television shows, including Community and Superstore. The music for Army of One was provided by David Newman, whose other works include The Spirit, Serenity, Ice Age, Death To Smoochy, Galaxy Quest, Jingle All The Way, The Mighty Ducks, Heathers, The War of the Roses, and Critters, among others. Because Army of One released straight to streaming on demand and DVD, I couldn’t find any financial numbers for its take. However, it apparently had a very short run in select theaters, though certainly not enough to cover the production budget. That said, critically, Army of One was undoubtedly a disaster, and its low profile may have been a blessing for all involved. It currently holds a 5.0/10 IMDb user rating, along with Rotten Tomatoes scores of 27% from critics and 28% from audiences. 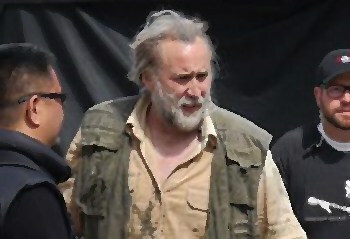 If there is anything positive that can be said about Army of One, it is that Nicolas Cage is at his most zany Nicolas Cage level of recent years. On top of that, it actually seems like he put effort into the performance of Gary Faulkner, and manages to imitate his mannerisms and cadence pretty well. That said, his high-pitched voice is pretty grating, and isn’t quite true to the reality of Faulkner. One of the biggest flaws that I noticed about Army of One was a lack of coherent direction from scene to scene, which often had to be stitched together with narration. My personal suspicion is that the writing for the film was very loose to allow for improvised comedy, but wound up so loose that the story lost all of its connectivity, and the production team tried to patch the holes with narration. Honestly, I’m not sure how scripted the movie was in the first place: a lot of it feels like pure improvisation, to the point that I’m not sure if a pen ever hit paper for this project. Director Larry Charles undoubtedly likes trying to get organic humor out of very loose scripting, like in Curb Your Enthusiasm or Borat. However, most of the successful films that have executed this style have been filmed as pseudo-documentaries, which gives them a more natural and raw appearance and flow. This isn’t done for Army of One, which I think was a mistake, as the clash of styles struck me as both jarring and painfully unfunny. On top of the shooting style not suiting the improvisational writing, I don’t think Cage was well suited to carry the load of improvisational comedy to the extent that was expected of him for this film. Despite being surrounded by notable and capable comedians who are familiar with the format, the comedy never flows quite right off of Cage: it all just piles up on him, and he never seems to be able to juggle or throw things back. While the guy can definitely give a funny performance, I think improvisation is a very different set of skills that has never been at his core. Last but not least, there is something undeniably mean-spirited about the nature of the humor in this movie. A lot of the advertising for the film compared the story to Don Quixote: a clueless hero with strong values suffers repeated failures, in comedic fashion. However, there is a difference between Faulkner and Quixote: Quixote wasn’t a real man. Faulkner is a real, living person with some very clear issues, which are played for laughs in the film. To laugh at Quixote’s naivete and foolishness on paper is one thing, but seeing these qualities in a real person isn’t so much funny as it is tragic. There are moments where it feels like Charles and company are punching down on a confused man undeserving of ire, all for the sake of a laugh. Unfortunately, getting laughs from this flick is like drawing blood from a stone, so it was basically all for nothing. 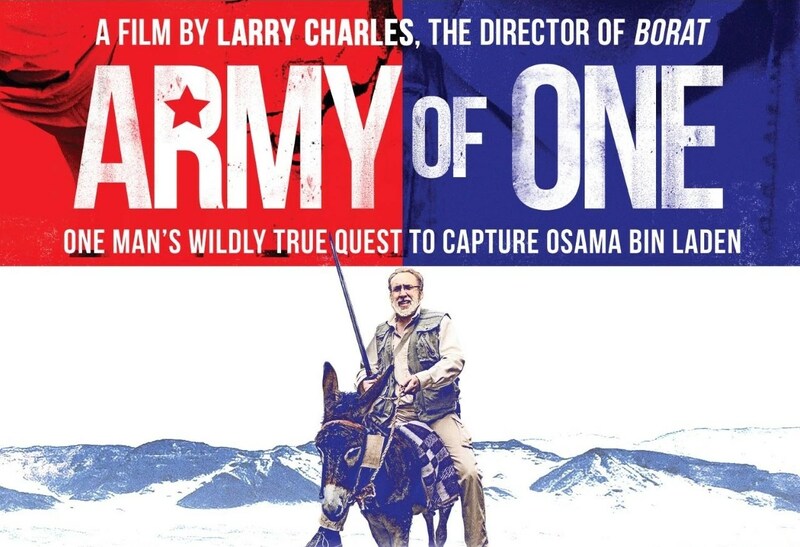 Overall, Army of One is a bit of a curiosity. While Cage’s performance is worth seeing for fans of his body of work, I think this is a movie primarily worth seeing on an educational level: there’s a lot that can be learned about improvisational comedy on film from comparing this to more successful films in the format. I personally believe that there are as many things to learn from failures as successes, and there are definitely some lessons hidden in the cracked, faulty foundation of Army of One. 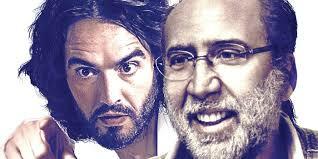 Also, on a mostly unrelated note, this movie has pretty well cemented my opinion that Larry Charles is a jackass.